Pleszew railcar in December 2011. Photo Ed Beale. 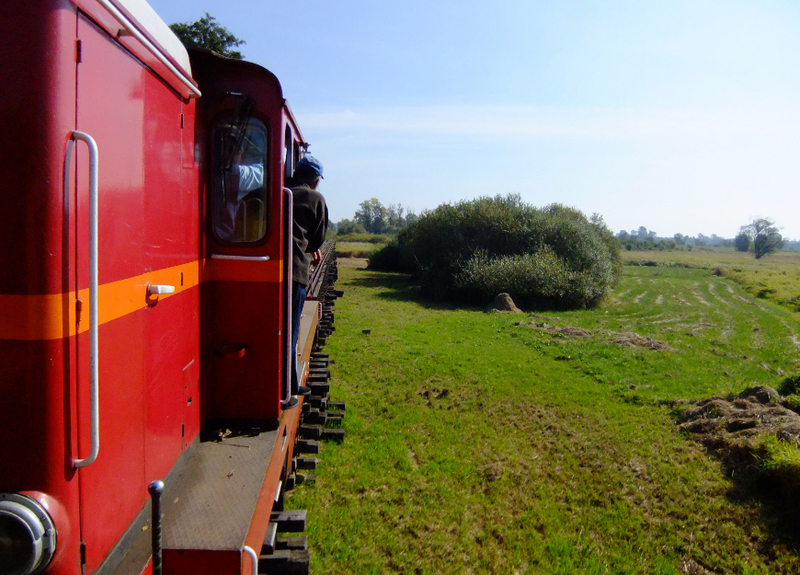 The beginning of May in Poland is memorable not just for the annual Wolsztyn Parade of Steam locomotives, but for the start of tourist services on Poland’s preserved narrow gauge railways. Most lines run trains just over the weekend, sometimes only a couple of return trips on Sundays. To the best of our knowledge (please tell us if you know of others!) only three lines operate daily services during the operating season: the Nadmorska Kolej Wąskotorowa, aka the Gryfice Narrow Gauge Railway; the Znin Narrow Gauge Railway; and the Bieszczady Forest Railway. The Bieszczady weekday service runs only in July and August, while the Gryfice and Znin lines run daily from May through to September. Pleszew Railway timetable 4 May until 13 June 2015. All of us a BTWT were surprised and delighted to be told by SKPL that they have brought back daily ordinary passenger services (not tourist services!) on the Pleszew narrow gauge railway, and that funding is in place for the services to run to the end of 2015. The Pleszew n.g. line is a mixed gauge line – standard gauge and narrow gauge trains share one rail. It is a 3 km fragment of the erstwhile Krotoszyn Narrow Gauge Railway which at its height was nearly 50 km long. The last train ran from Krotoszyn to Pleszew Miasto on 12 January 1986. The line was taken over by the Pleszew Town Council who licensed it to SKPL in 2006. SKPL operate freight trains over the standard gauge tracks from the interchange with the main line to an oil depot in Pleszew. In February 2013, BTWT reported that passenger services using a diesel railcar operating over the n.g. 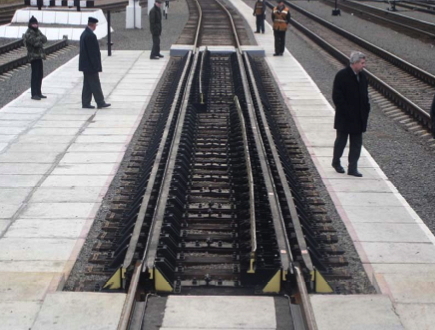 tracks had been suspended. We are delighted to report that as from 4 May 2015 Poland’s last surviving n.g. regular passenger service is again operational. Skaldowie official video featuring journey on the Radzymin narrow gauge railway in 1971. Film Telewizja Polska. Thanks to the Polish rock band Skaldowie and an enterprising 1971 Telewizja Polska film crew the 750mm Radzymin Narrow Gauge Railway (Kolej Marecka) lives on, as a video (teledisk) on YouTube! The Radzymin line was the first Polish narrow gauge railway that I ever travelled on, followed shortly by a trip on the metre gauge Grojecka Narrow Gauge Railway. Both trips happened in 1965 possibly minus a year or two. It’s a sobering thought that all the n.g. tracks that I travelled on during that trip to Warsaw: Warszawa Wilenska to Radzymin (Px48-hauled); Wilanow to Piaseczno (diesel or petrol railcar); Piaseczno to Warszawa Dworzec Południowy (Warsaw South Station, today the site of Wilanowska Metro station) have been lifted. What a tourist line the railway from Wilanow would have made! A fragment of this once extensive network survives as the Piaseczno Narrow Gauge Railway. Skaldowie formed in Krakow in 1965, and were one of the most popular bands in Poland in the 1960s and 70s. Their music is a heady mixture of rock, prog rock, folk rock, jazz and classical music. The band – which is still active – seems to be particularly fond of Poland’s narrow gauge railways. As well recording the video for their track Na wszystkich dworcach świata (On all the world’s stations) they recorded Hymn kolejarzy wąskotorowych (A hymn to narrow gauge railwaymen). The latter has also been made into a video, it would appear by some enterprising YouTuber. This second film combines film from the 1971 video with much older archive film of the Radzymin railway from the 1950s – see below. Both tracks – Na wszystkich dworcach świata and Hymn kolejarzy wąskotorowych – were first released on the band’s LP Ty in 1970. The complete album, as well as the individual tracks, are available for purchase and digital download through iTunes. Fragments of the 1971 film combined with much older archive footage of the Radzymin narrow gauge railway. Film januszpeiks. The derailed carriages seen from the loco. Photo Graubünden Police. News of a serious railway accident in Switzerland is always an extraordinary event – Swiss railways are amongst the safest in the world. The accident occurred at approximately 12:45 on Wednesday 13 August. A train was travelling from St. Moritz to Chur on the Albula section of the Rhaetian Railway between Tiefencastel and Solis. The leading carriage just behind the locomotive was hit by a landslide. The carriage plunged down a ravine and fortunately snagged on some trees before it could gather enough momentum to crash through the forest. The second coach ended up hanging over the brink of the embankment. The passengers were asked to walk to the back of the coach to keep it stable. The third coach also derailed, but remained upright on the tracks. The rear bogie of the locomotive was also apparently derailed, but the driver promptly brought the engine to a halt and it remained upright on the tracks. 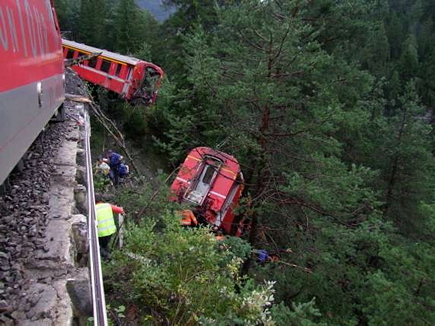 The derailment location near Tiefencastel, Switzerland. Google Maps. Some two inches of rain fell on Wednesday morning downhill – equivalent to the normal rainfall in the whole of August. The earth and soil, weakened by the rain poured down onto a 15m section of track. In some places the debris piled up 3m high. Fortunately, there were no casualties – 5 passengers were seriously injured, 6 less so. None are in danger. Those unable to walk were taken to hospital from the scene by helicopter. Some 200 passengers were guided through a tunnel by members of staff and then taken by cars to Tiefencastel station from where they continued their journey by coach. The Albula section of the Rhaetian Railway is expected to remain closed for two days while the landside is cleared and the hillside secured. Blich.ch – RhB-Waggons hängen über dem Abgrund! With tram frequency only a fraction of what it was 10 years ago, is this DIY approach the solution to the problem of providing a decent public transport service in Lodz? A hat tip to Tomasz Adamkiewicz for the link. N.g. wagons, but when and where? Photo BTWT. Just when you thought that BTWT had faded away to just a memory, here is another of our infamous competitions! Dyspozytor has delved deep into his box of B&W photos and came up with the picture above. A couple of narrow gauge wagons stand on a factory siding. In the background a would-be passenger makes a dash for a waiting tram. 30 or so years ago this could have been taken anywhere in Poland. So, where was the photo taken, and for some bonus points, when? As usual the first BTWT reader to get the answer right wins our first prize: instant fame on the pages of BTWT and the chance to take Dyspozytor out for a meal of fish and chips. Please send your answers to railfan [at] go2 [dot] pl. Good luck! Px48-3917 leaving Piaseczno. Photo Kurier Wąskotorowy. 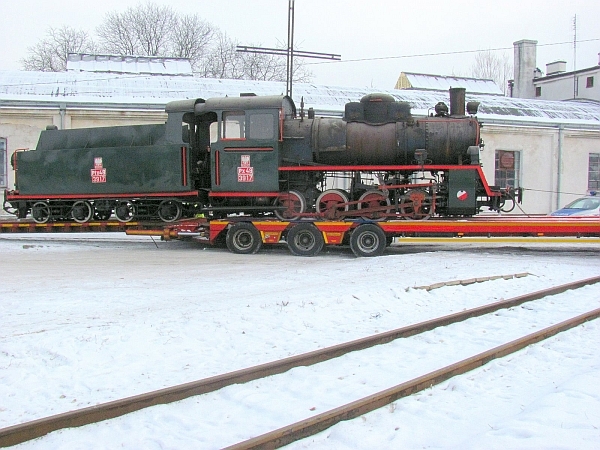 Piaseczno Narrow Gauge Railway’s iconic metre gauge Px48 has been put up for sale. The loco was acquired for the railway by Piaseczno Railway Society chairman, Jerzy Chmielewski. After Mr Chmielewski passed away their was a legal dispute between the Railway Society and Mr Chmielewski’s estate. The court decided in favour of the latter. The loco left the railway on 12 December last year on a low loader and is now reportedly stored in a car park at Skarzysko Kamiene! Px48-3917 started life as Px48-1782, a 750mm built by Warszawskie Zaklady Budowy Urządzen Przemyslowych. It was regauged to 1,000mm gauge at ZNTK Nowy Sacz in 1969 and given a new number, Px48-3903. In 1992 it was rebuilt by Interlok at Pila with the boiler from 750 mm gauge Px49-1791 and renumbered Px48-3917. After arriving at Piaseczno it had an extensive overhaul led by Zbyszek Tucholski and a team of volunteers. The loco was the mainstay of special trains on the line until August 2010 when it was withdrawn with a failed boiler. Repairs have been estimated as costing 200,000PLN. The loco has been put on sale at the Polish Internet auction site Allegro with a ‘buy now’ price of 250,000PLN. A hat tip to John Savery for the story. …23 years after the earlier line was closed! The opening ceremonies. Video by Urząd Miasta Bydgoszczy. 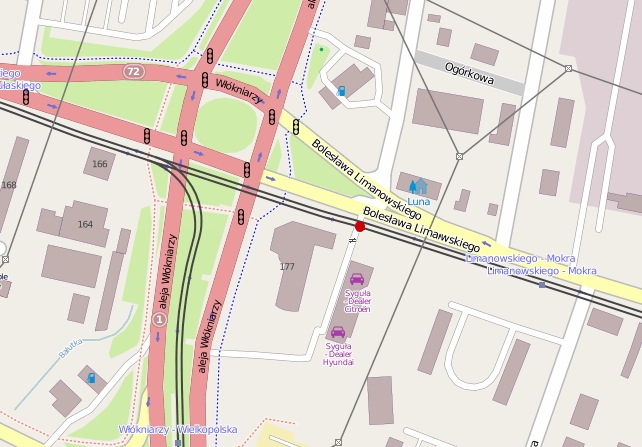 On Thursday (22 November), almost 23 years after the closure of the old line, Bydgoszcz railway station is again connected to the city’s tram network. Rafal Bruski, the Mayor of Bydgoszcz, hopes that the 80 million zl investment is just the first of a series of major public transport, which the city plans to implement in the coming years. The new 1.75 km spur to the station. Map courtesy OpenStreetMap. The 1.75 km spur leads from ul. Focha, and crosses the River Brda by means of a 70 metre suspension bridge to terminate in a loop near Bydgoszcz Glowny railway station. In addition to the construction of the track the project also included the reconstruction of streets and pavements, construction of bike paths and the installation of a modern passenger information system. A hat tip to podroznik for the story. The accident site looking west. Only one eastbound lane of ul. 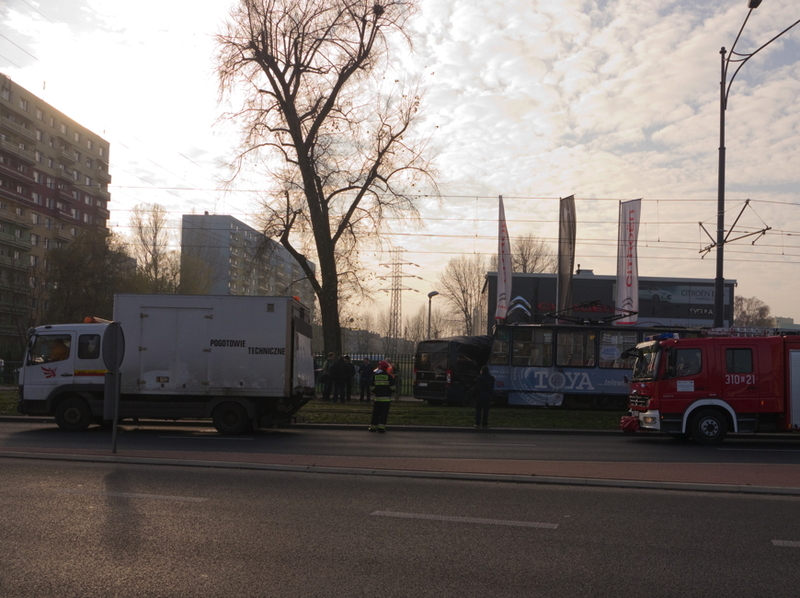 Limanowskiego was closed and westbound trams continued to run past the accident site, a yellow recovery van is just arriving at the scene. Photo BTWT. 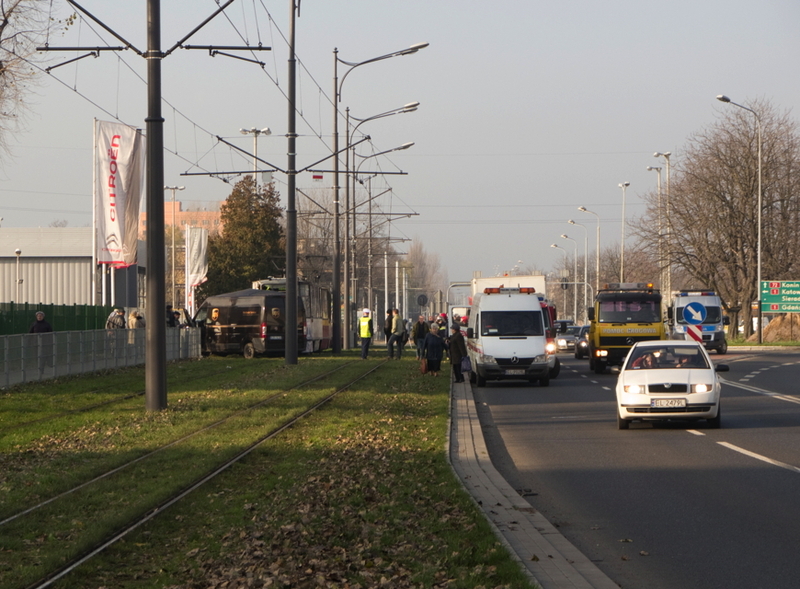 At around 09:30 this morning, just as the rush hour traffic was starting to ease off, a No.2 tram, comprising Konstal 105Na driving car and trailer, was running westwards along Ul. Limanowskiego towards Lodz town centre. The tram had crossed the pointwork and dual carriageway road crossing with al. Wlokniarzy and had accelerated away along the recently relaid track towards its next stop at ul. Mokra. The driver of a Fiat Ducato van in UPS livery attempted to turn in front of the tram into a private road belonging to a motor dealership. The tram hit the side of the van and propelled the van sideways some 14 metres before the both vehicles stopped. A MPK (Municipal Transport Department) breakdown truck and one of three fire department trucks that were despatched to the scene. Photo BTWT. Both drivers were taken to hospital. 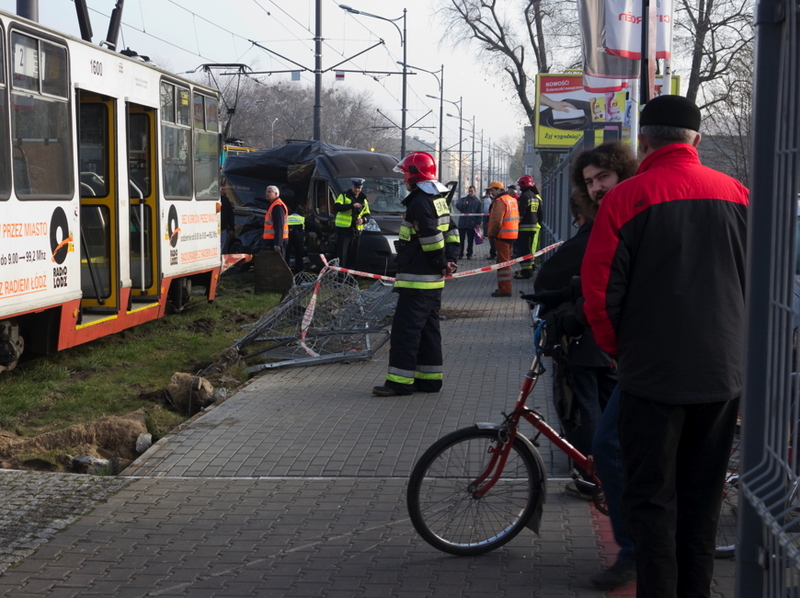 The tram driver is not believed to be seriously hurt. The condition of the van driver is not known at the moment. According to local residents, ince the tram tracks were relaid along ul. Limanowskiego, trams are running much faster than they did before and the area around the crossings with al. Wlokniarzy and ul. Mokra has become an notorious accident black spot. On 23 October, an articulated truck collided with a tram injuring one person, on 27 March, an 18 year-old girl was killed when she walked in front of a tram on the pedestrian crossing by ul. Mokra while talking on her mobile telephone, and on 19 January, a 32 year old cyclist died after being run over by a tram near the spot where today’s accident took place. The level crossing that was the site of the collision. The long scratch on the concrete blocks is the result of an earlier accident. Photo BTWT. Local residents had got used to trams creeping slowly along ul. Limanowskiego over many years and when the track got too bad tram services were suspended for a couple of years. The speeded up trams have become an unexpected hazard at all the various road, pedestrian and cycle crossings in the area. The problem is compounded by poor visibility at some of the crossings. Given all the circumstances, it seems extraordinary that when the track was improved, and tram speeds were raised, no warning were lights installed. Apparently minor collisions occur every week on the crossing where today’s accident took place! The site of the collision. The No.2 tram was running westwards and accelerating away from the junction and crossroads with al. Wlokniarzy. The van driver was proceeding across the level crossing (red dot). Map OpenStreetMap. What was impressive about today’s incident was the minimum amount of fuss made by the police and emergency services. Ul. Limanowskiego remained open to road traffic albeit with only one lane in operation, and westbound trams continued to operate, while trams running towards the city centre were re-routed down ul. Wlokniarzy. Single track and mediaeval streets. Photo U.M. Grudziaz. 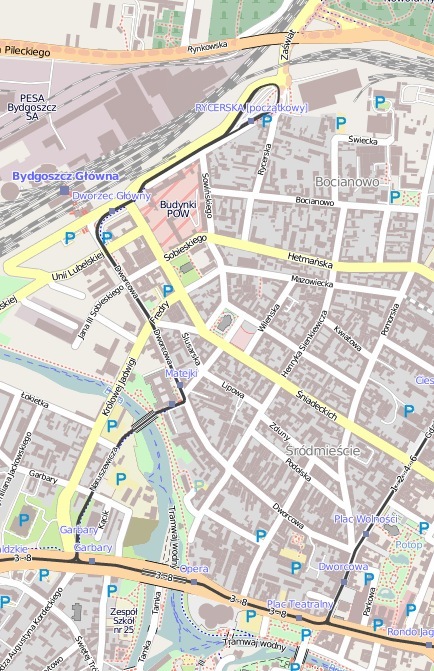 The smallest tram system in Poland – the 9 km long metre gauge system in Grudziaz – is to be rebuilt. The extent of the works has been cut down from ambitious plans, mooted in 2006, by the town’s mayor. These included, removing the tram lines from the narrow streets in the town centre and building brand new lines running East-West, including a line which would share the PKP viaduct across the river Vistula. Now, following the work of a consortium of consultants, the project envisages no new trams and no extensions, instead existing trams will be modernised and the existing route will rebuilt, doubling much of the single track running lines. Single track will be retained in the market square area, but special insulation will be employed to reduce noise and vibration. There will also be raised platforms, better bus-tram integration and a new intelligent traffic management system. The first stage of the project is already undeway. 6 trams are being rebuilt by ZNTK in Minsk Mazowiecki and PESA in Bydgoszcz. Now the second stage of the project, comprising the civil engineering works, has cleared the last hurdle. 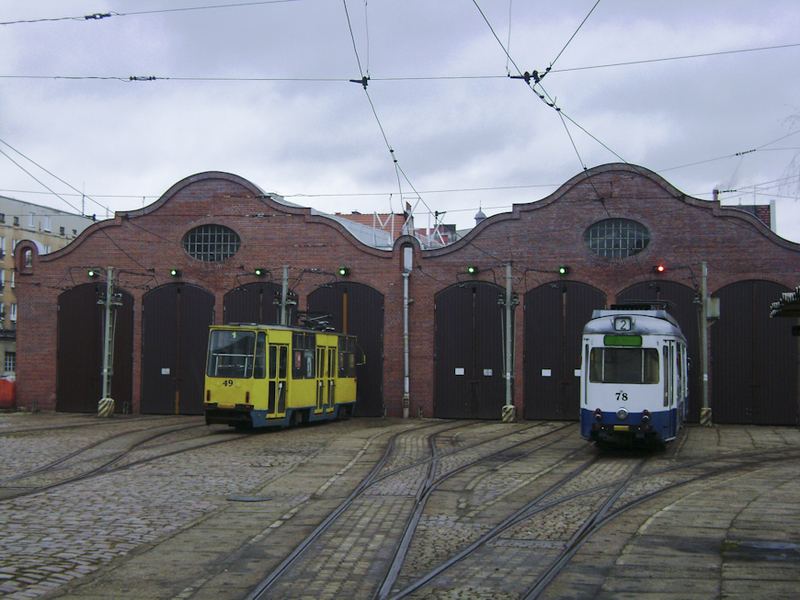 Grudziaz tram Depot. February 2008. Detailed plans for the upgrade were produced by a consortium comprising Vialis Polska, Vialis Public Transport – CTD and Stator. Early design work had been previously prepared by StadtRaum. For rebuilding a 9 km tram line the number of consulting firms employed by the Town Council must be a record! In July 2011, the Town Council announced a tender for the choice of contractor to carry out the project. The Council had budgeted 42.3 million PLN for the works, the tenders came in between 66.1 million and 75.6 million PLN. The mayor declared the tender null and void. Some economies were made – a cheaper rail was specified and a new building for the traffic management system was found unnecessary. A second tender was held and this time the cheapest bid came in at 50,331,973.80 PLN. Nevertheless at a session of the Town Council held on 26 September a decision was made to find the missing funds and the project was given the ‘go ahead’. So, if the sight of a single track tram line winding its way across cobble streets dating back to the 14th century is a something that appeals, you had better hurry! These Romanian trailers look as if they were never painted since they were put into service by PKP in the 1970s. Photo BTWT. I hate skansens. This Scandinavian invention may have a place in preserving rural architecture; although personally I have never seen the point of plucking a building from its historic context and and transporting it to an entirely artificial setting, however carefully designed and landscaped. Applied to the railway locomotives and rolling stock a skansen is a monstrous aberration condemning precision machinery and delicate woodwork to the ravages of its worst enemies: frost and water and a programme of accelerated decay. A rustic retreat? No, a historic four wheel covered wagon left to rot in the ‘skansen’. Photo BTWT. Nowhere is the bankruptcy of the Polish railway skansen meme demonstrated so effectively as the narrow gauge railway skansen in Gryfice. 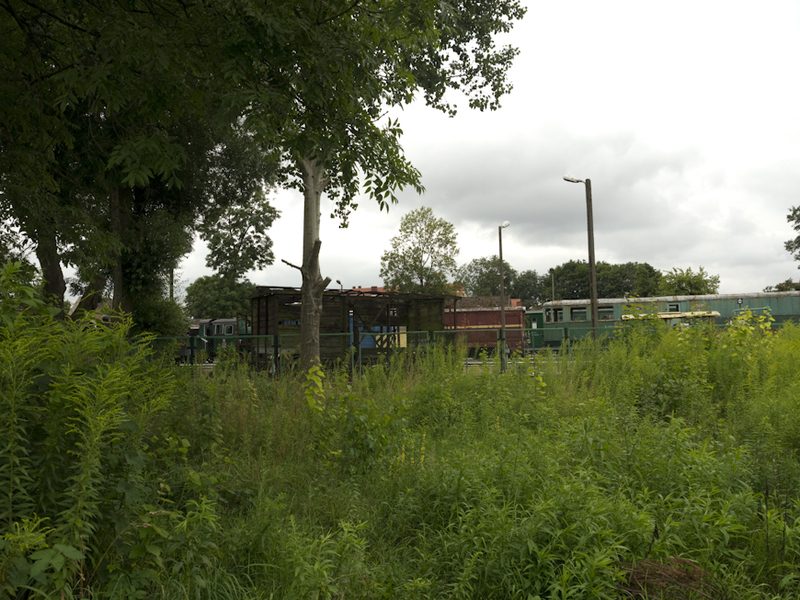 Adjacent to a thriving narrow gauge railway operated by the most prosperous gmina in Poland is a collection of decaying rolling stock the likes of which have not been seen since the last steam locomotive left Barry scrapyard. Seen from the road the skansen looks neat and tidy with well-kept lawns trimmed bushes and locomotives which appear to be regularly repainted. Penetrate a little further and the condition of many priceless relics is heartbreaking. Ex Grojecka Kolej Dojazdowa motor coach MBxd1-359 heads a line of rotting metre gauge motor coaches and trailers. Photo BTWT. The tragedy is that this need not have been so. 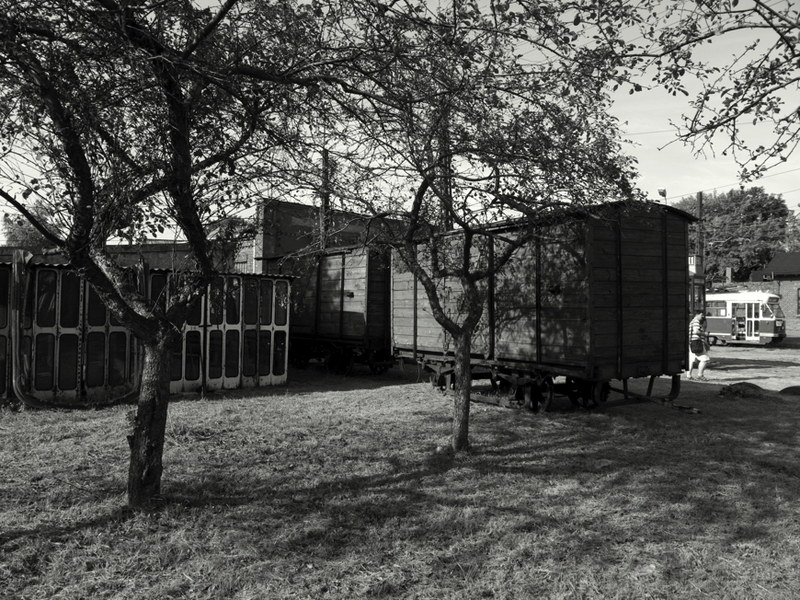 The Gryfice workshops of the Pomeranian Narrow Gauge Railways were extensive and could easily have provided covered accommodation for much of this rolling stock. But someone decided that most of the accommodation was ‘surplus to requirements’. 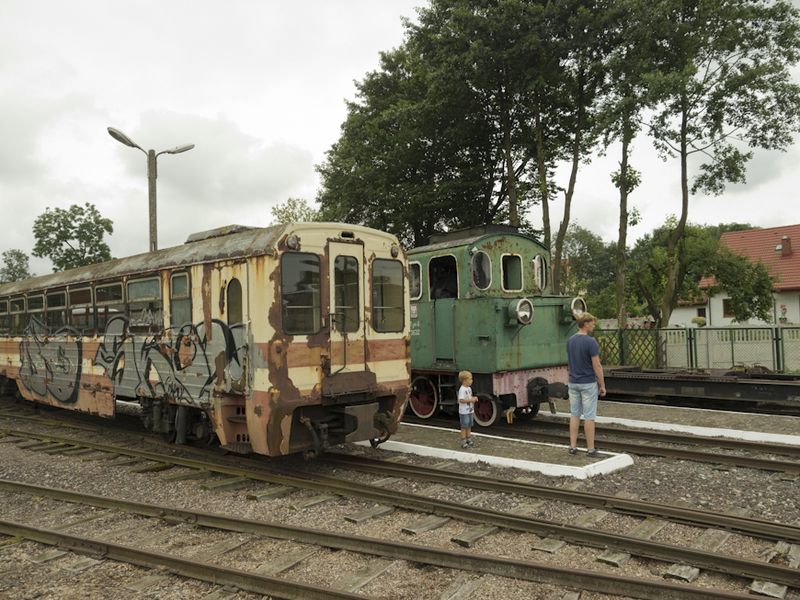 Someone also decided that it would be inappropriate for Gmina Rewal to hold on to all the historic rolling stock left behind after the closure of the Pomeranian metre gauge network and it would be in better hands (= would provide more opportunities for private profit) if the bulk of the collection was retained by the Railway Museum in Warsaw. Unidentified Romanian trailer, Vulcan Werke 0-6-2T of 1928 Tyn-3632, and a transporter wagon. Photo BTWT. And so it was that the Piaseczno and Gryfice narrow gauge railways were deprived of their own rolling stock and locomotives and had to stand idly by while part of their heritage rotted away. Eventually, the authorities running the Railway Museum in Warsaw, embarrassed by the state of the items in their custody, and realising that – because of fuss stirred up by several infamous cases of dodgy sales elsewhere – the eagle eyes of Polish railway enthusiasts were upon them, decided to hand over the skansen to the Szczecin branch of the National Museum. Unfortunately the Museum does not have the funds available to arrest the decay in the skansen, an in fact, has serious problems with its own collection of historic wooden fishing vessels which – displayed outdoors in Szczecin – have decayed so much that they are in danger of falling apart. (left to right) Px48-3912, Tx7-3501, Tx7-3502, Ty6-3284, Txn8-3811, Px48-3916, Ty-9785. 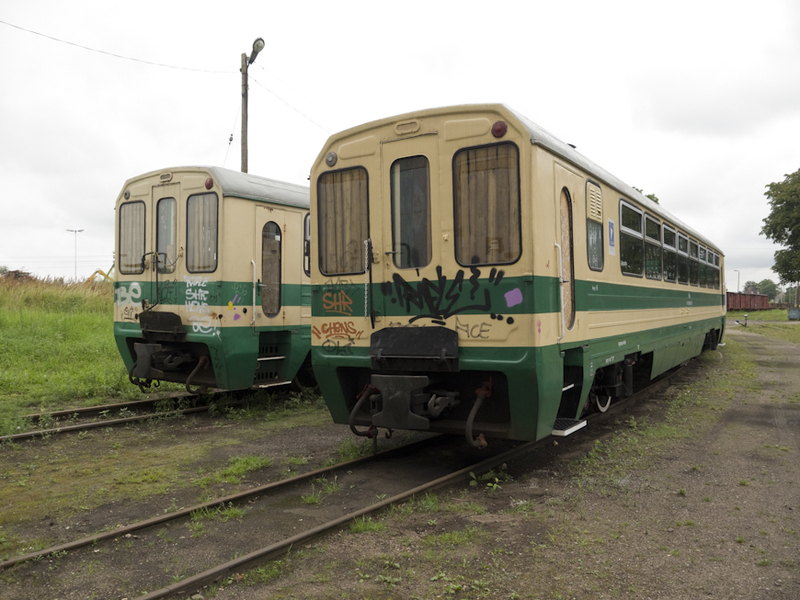 Gmina Reval, the owners of the Gryfice Narrow Gauge railway now renamed the Nadmorska Kolej Waskotorowa (Coastal Narrow Gauge Railway), have made a bid to the National Museum to take over and restore the collection of historic fishing vessels. Is it too much to hope that they might bid to provide a better home for the skansen rolling stock as well? Vandalised Bxhpi 00-450044328-0 trailer next to an unidentified trailer in Gryfice yard. Photo BTWT. Sadly the EU-assisted project to upgrade the Gryfice Narrow Gauge Railway, while providing for a brand new station buildings and several covered platform awnings (where they had never been awnings before) did not envisage providing secure covered accommodation for the railway’s rolling stock. The effect of this can be seen in the act of wanton vandalism shown on the photograph above. Crossing one of the long viaducts on the Jedrzejow line. The operating season at Jedrzejow starts on 1 May. Photo Ed Beale. The first week in May is traditionally a holiday week in Poland with its two public holidays on 1 and 3 May. 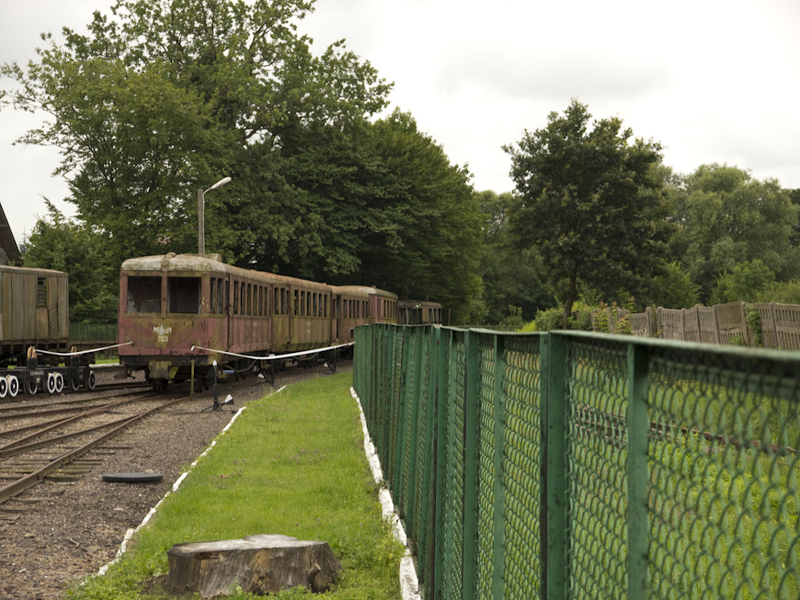 Many narrow gauge railways start their operating seasons during this week with trains at the weekends or on 1, 2 or 3 May. This year, 17 narrow gauge railways will be operating during the May holiday week. The special train at Przeworsk on Saturday 5 May must be booked in advance by email to smpkw [at] wp.pl before 22 April. The other trains do not need to be booked in advance. Bieszczady Forest Railway: 28 and 29 April, 1, 3, 5 and 6 May at 10:00 (to Przyslup) and 13:00 (to Balnica). Elk: Tuesday 1 May at 10:00. Hajnowka Forest Railway: 1-5 May at 10:00, 14:00 and 17:00. Hel Military Railway: 1, 3, 5 and 6 May. Jedrzejow: Tuesday 1 and Sunday 6 May at 10:00. Karczmiska: Thursday 3 and Sunday 6 May at 11:00. Koszalin: Tuesday 1 May at 11:00. Nowy Dwor Gdanski: 28 April to 6 May at 09:00, steam on 1 and 2 May. Piaseczno: 29 April, 1, 3 and 6 May at 11:00. Plociczno Forest Railway: Daily from 1 May at 13:00. Przeworsk: Special train with historic stock on Saturday 5 May (bookings by email to smpkw [at] wp.pl before 22 April). Rogow: 29 April, 1, 2, 3 and 6 May, four trains daily. Rudy: 28 and 29 April, eight trains to Paproc. 1, 3, 5 and 6 May, six trains to Paproc and 2 trains to Stanica. Sroda: Tuesday 1 May, festival at Sroda Miasto station with short train trips to Kipa between 15:00 and 19:00. Starachowice: 1 and 6 May at 14:00 from Starachowice, 1-3 and 6 May at 14:00 from Ilza. Znin: Daily from Saturday 28 April, six trains each day. The approach to the gauge changing facility at Mostiska-2. Photo PKP IC. The Inkwizytor remains as elusive as Vault 713 underneath Gringotts Bank in Diagon Alley. Some years ago I was here with some sailing friends, when in swept Ian Woods, complete with a group of attractive female minders from Krakow’s Academy of Fine Arts. The evening ended in an alcoholic haze, but not before many sea shanties had been sung in English and Polish. Poland has moved on and so has the Inkwizytor. These days, disguised as the Autorska Kawiarnia, it has moved up market. A middle aged lecturer was explaining the difference between the Chernobyl and Fukushima disasters to one of his female students. You can’t rely on what was written in the papers, he began. I listened spellbound. Was he going to propound the theory that Fukushima had been a victim of the Stuxnet virus? But no, he had nothing new to say. It seems that Polish female students still have to put up with being taken out by boring male teachers in order to get higher marks. The waitress came round and I asked her if she was aware that this had once been the centre of Krakow’s sailing community. Surely not here, she replied. I asked for some placki ziemiaczane (potato cakes) without the goulash stew that is their usual accompaniment and a glass of Zywiec. This time, unlike previously at Dynia, there was no problem in serving exactly what I had asked for. The beer and the potato cakes were both delicious. The wheelset 1435/1520mm gauge changing facility. Soon it was time to return to Krakow Glowny. On the train from Lodz, I had proofed a translation of an article about gasworks in Wielkopolska and the proofed copy needed to be e-mailed to the translator. If my back had not been playing up, I would have taken the laptop with me to Dynia which has a free WiFi link, but – not wanting to carry any weight around – I had left it in my suitcase. It was a pleasant walk back to the station, via the market square, passing Adam Mickiewicz’s statue and St. Mary’s Basilica, then clipping the corner of the Juliusz Slowacki theatre. There was no problem in collecting my luggage and my laptop was still inside my suitcase. The ramp down to the former north subway was closed, but at least the stairs leading down to and up from the south subway were not too much of an obstacle. With just under an hour before my train was due to depart, I brought out my computer kit. Consternation, not only did PKP not provide a WiFi link, but my mobile telephone company’s carrier signal was also severely degraded. More walking, however, here the escalators from my departure platform down to the new deep level subway were working. The underground passage leading to the Galeria shopping has been tidied up. But it remains architecturally bleak and soulless. It is clear that – rather than conceive of the Galeria and new station as a single unified functional space – the architects of each have chosen to distance their creations from each other. A tremendous missed opportunity – just as in Warsaw’s Zlote Tarasy. McDonald’s provided me with a fast Internet connection and a welcome coffee. In 5 minutes I was done and back in the interconnecting passage which was physically, as well as architecturally cold. Another 2 minutes and I was back on the platform where my night sleeper train, with an attendant by each coach, was already waiting for me. Seamless gauge changing. Video by KT4Dani. PKP IC’s sleeper trains are a welcome left-over of the ‘good old days’ days when Poland’s managers actually travelled by train. I never fail to be impressed by the comfort of the sleeping berths, the cleanliness of the toilets and the helpfulness of the attendant. 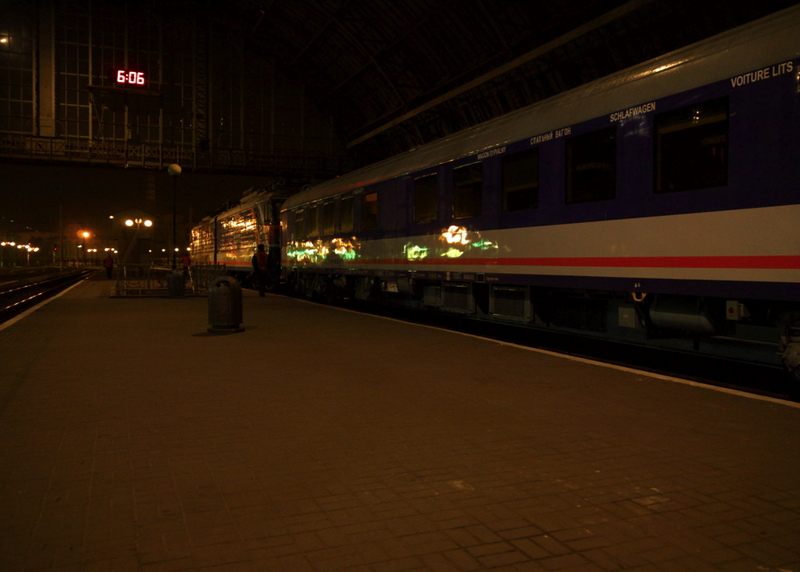 The Krakow – Lviv sleeper is no exception. It is curious that PKP IC makes so little of the train. Like the Inkwisytor, it is very difficult to find. It is even more difficult to buy a ticket! Some pleasant surprises were in store. 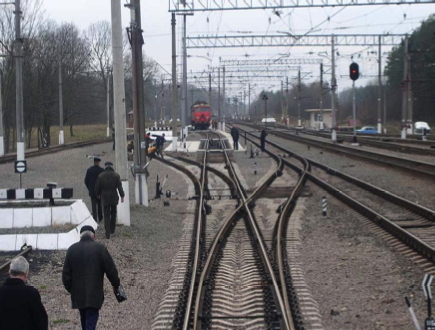 The state of the track on both sides of the Polish – Ukrainian border was remarkably good. I managed to sleep quite soundly. Although the journey only takes 6 hours 48 minutes, not quite enough time for a good night’s rest when getting ready for bed + border crossing controls + getting up times are taken into account. The border formalities were quick and efficient and the border officials polite and helpful. If anything, the Ukrainian officials were a tad more polite than their Polish counterparts. Perhaps they had been given ‘customer care’ training ahead of the Euro 2012 football championships? The train arrives at the main railway station in Lviv. Photo BTWT. Arrival at Lviv was at 06:03 local time – an hour earlier than the time advertised by the TK Telekom timetable. I was picked up by friends – who had ascertained the correct time from the local timetable – and taken to my apartment. First impressions of Lviv were positive – there is no traffic about at 06:oo hrs – and the roads seemed no worse than the worst roads in Lodz. 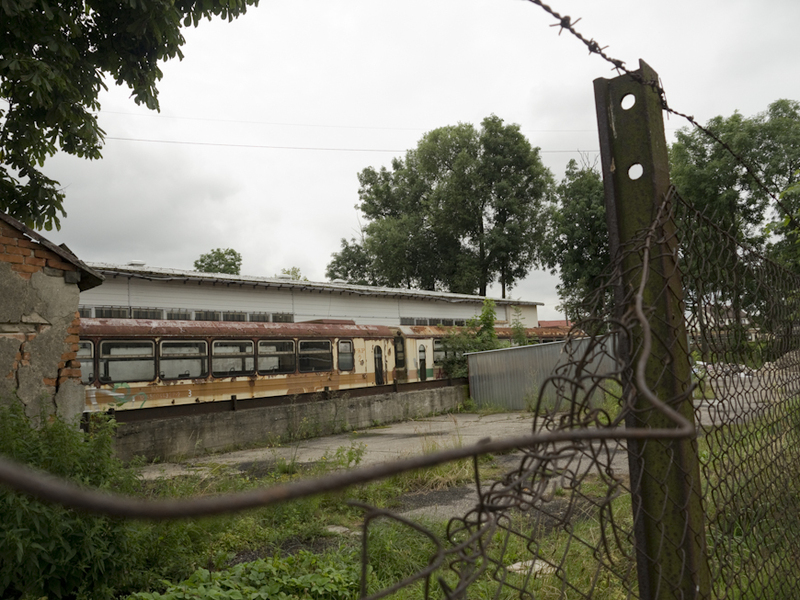 Lviv, like Lodz, has a metre gauge tramway system and, like Lodz, has abandoned some of its most picturesque lines. I noticed that in the worst places the tram rail stuck out some 200 mm proud of the coble stone surface. I could see that Lviv could take quite some getting used to!